Click the camera icons on the map or on the thumbnails below to start exploring the park. Some panoramas contain links to other views. 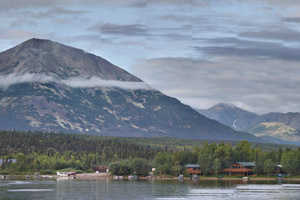 This view of Lake Clark National Park and Preserve’s namesake lake is from the shore in front of the Joe Thompson cabin. The cabin and its outbuildings are among the several historic structures in the park that have been restored by the National Park Service. 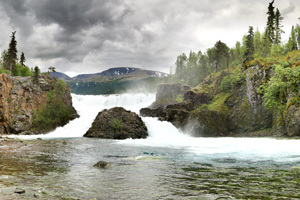 This popular day hike to the waterfall near the park’s field headquarters in Port Alsworth is part of the Tanalian Trail system. 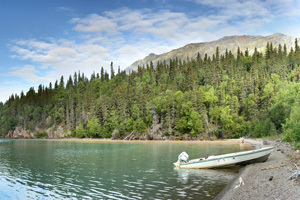 Hardenburg Bay is a hub of boat and float plane activity in the small community of Port Alsworth. The park’s field headquarters is here and staff are available to answer your questions and plan your trip in the park. 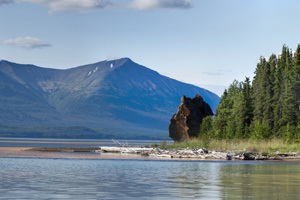 Priest Rock is a prominent rock formation on the shore of Lake Clark. 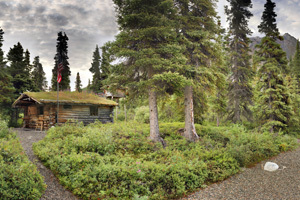 It is also the site of the historic Allen Woodward cabin, one of several historic structures in the park that have been restored by the National Park Service. This beautiful 4-mile lake in the park’s interior is the headwaters of the Chilakadrotna River, which offers outstanding rafting opportunities. This 360 degree panorama was taken above Teetering Rock, a landmark near the Richard Pronneke Historic Site. The 360 view from the beach in front of the historic Richard Pronneke Cabin. 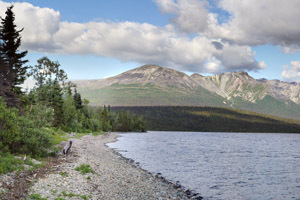 Snipe Lake is located in the preserve, south of the Chilikadrotna River and north of Lake Clark. 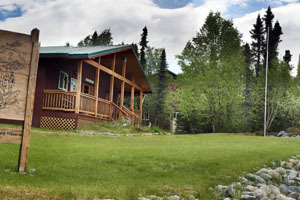 The National Park Service maintains a small cabin near the lake as well as a remote weather station. 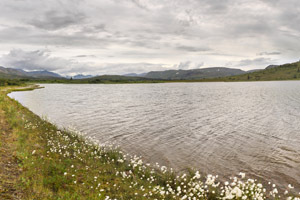 This is a 360 degree view of Snipe Lake and the Bonanza Hills from the weather station located at 2,315 ft. above sea level. Current weather observations are available here. 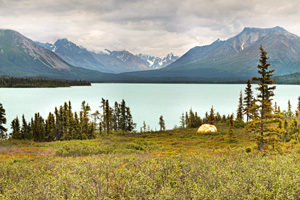 There are several NPS remote weather stations in Lake Clark National Park and other parks in the area. 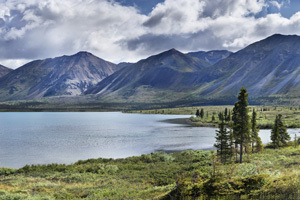 The incredibly scenic Upper Tazimina Lake is located south of Lake Clark and provides excellent opportunities for freshwater fishing for trout, Dolly Varden and Northern pike. 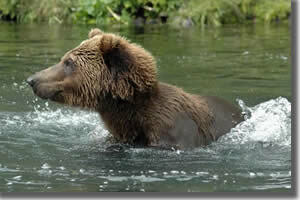 Brown bears can often be seen digging for razor clams during low tides along the park’s Cook Inlet coast. The coast offers a variety of opportunities for wildlife viewing. 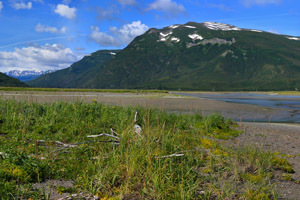 The Johnson River is fed by glaciers on the flanks of Iliamna Volcano and flows into the Cook Inlet. 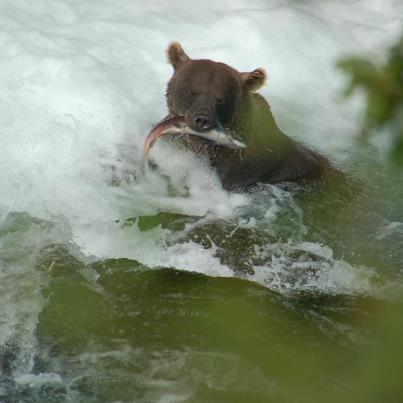 The river supports resident and anadromous fish populations such as silver (coho) salmon and Dolly Varden. 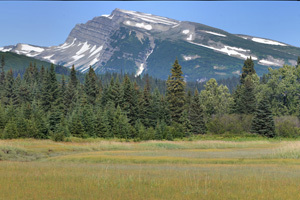 Also featured is the distinctive Slope Mountain at 3510ft (1070m). Look closely enough and you’ll see a coastal brown bear feeding on the vegetation along the river mouth. 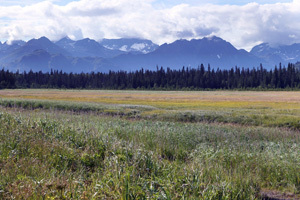 Brown bears congregate in these coastal salt marshes along the park’s Cook Inlet coast to feed on fresh green vegetation after winter hibernation. 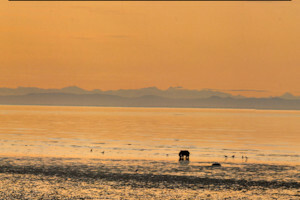 Bear viewing is one of the main attractions at this gorgeous site on the Cook Inlet coast. 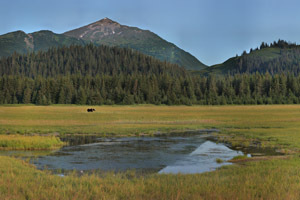 Brown bears gather in the coastal salt marshes to feed on the nutrient-rich vegetation in the early summer. 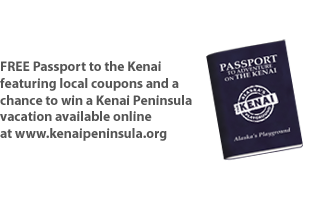 Several guiding services are authorized to provide bear viewing trips to Lake Clark National Park. Safe and respectful wildlife viewing depends on appropriate and consistent human behavior and guidelines have been established to ensure your safety. 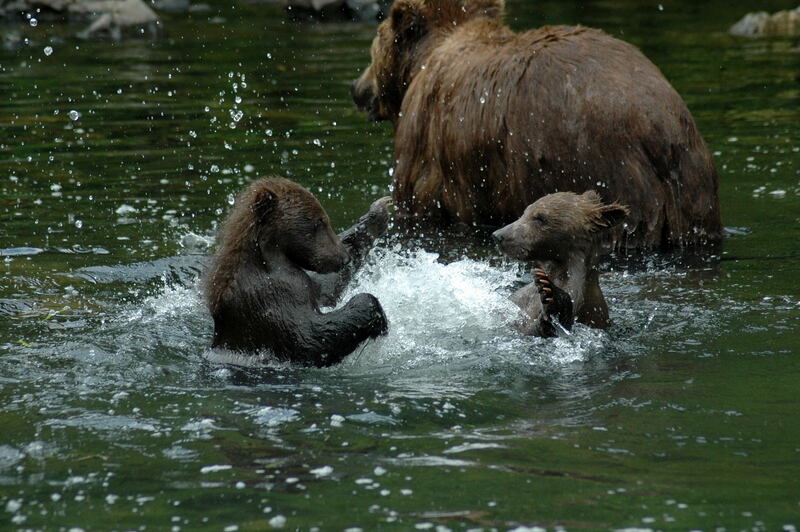 The goal at popular bear viewing sites in the park is to minimize impacts on the bears while allowing for the opportunity to view these amazing animals in their natural habitat. 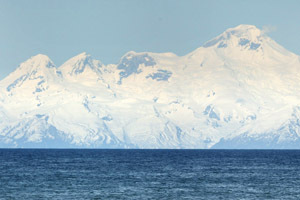 Mt Iliamna (10,016 ft) and Mt Redoubt (10,197 ft) are two active volcanoes in Lake Clark National Park. 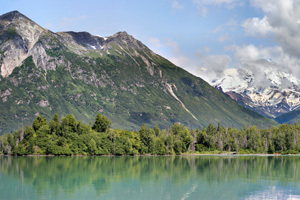 This is the view of the park as seen from the lower Kenai Peninsula. 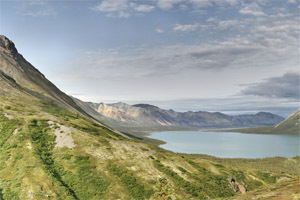 Kijik National Historic Landmark in Lake Clark National Park and Preserve contains the world’s largest concentration of prehistoric and historic Dena’ina Athabascan houses.